Hoping to find the best strains and products for pain? Here’s the scoop on whether THC or CBD is best for pain management. The world of medical cannabis can be daunting. With all of the new strains and products out there, how do you find the right one? Unfortunately, many medical cannabis patients have to do quite a bit of experimentation before they finally hit their stride. When it comes to pain relief, however, certain strains may be better than others. Here’s the scoop on which cannabinoid is better for pain relief, THC or CBD. THC vs. CBD: Which is better for pain? The best answer to this question is both. While each compound has pain-fighting properties of its own, two of them work best when they are consumed together. Both tetrahydrocannabinol (THC) and cannabidiol (CBD) work with each other synergistically, enhancing the overall pain-fighting effect of the herb. THC is considered the primary psychoactive component in the cannabis plant. Many medical cannabis patients find that consuming regular ol’ high-THC cannabis provides adequate pain relief. However, it’s not uncommon to need to do some experimentation to find what type of cannabis works best for your particular situation. CBD is not considered psychoactive in the same manner as THC, though it still has an effect on the brain. Unlike THC, CBD will not cause a noticeable “high”. Rather, this cannabinoid has calming and uplifting properties that can reduce the mental effects of THC and fight pain and inflammation. Many patients like high-CBD strains for relief from pain caused by spasticity and cramping. The synergistic interactions between THC and CBD make up what is called the entourage effect. 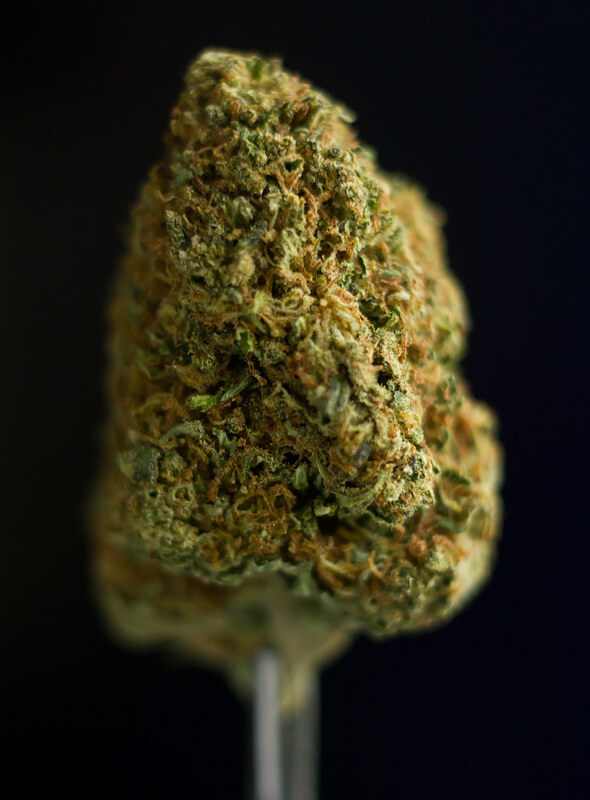 In theory, the entourage effect suggests that all of the various phytochemicals in the cannabis plant work together to produce beneficial effects. This is perhaps why full-plant cannabis buds and extracts are thought to be more helpful to patients than isolates. Keep your eyes open for full-spectrum oils, like those from Green Roads, to maximize the pain-relieving effects. For an even more direct application, Green Roads also offers topical pain creams. Not only do THC and CBD appear to interact with one another to fight pain, but these compounds engage with various terpenes as well. Terpenes are aroma molecules found in the resin glands of plants. These theories suggest that opting for a strain with a variety of cannabinoids and terpenoids would be highly beneficial for medical cannabis patients, including those seeking relief from chronic pain. Some lucky patients can already access a cannabis-based pharmaceutical for pain. In Canada, the GW Pharmaceuticals product Sativex is available for the treatment of cancer pain. Sativex is a multiple sclerosis drug that contains a one to one ratio of THC to CBD, plus some beneficial terpenes. Further, there are over 100 cannabinoids in the cannabis plant. Decades of research restrictions mean that scientists have only really begun to study the cannabis plant in depth over the past few years. Though, Isreal has spearheaded the cannabis research game since the 1970s. What should I look for in a cannabis strain for pain? When searching for the best strain for pain, there are a few things to keep in mind. Many people lack access to quality selections of cannabis, and it can be difficult for folks to find exactly what they need. Further, every person responds differently to cannabis. For some, high THC strains may be more beneficial. Though the psychoactive nature of THC may be off-putting to certain people, many find that the “high” helps them forget about the pain and focus on something else. CBD strains, on the other hand, may help reduce inflammation and improve mood, which could improve your ability to handle pain. Sedative, indica strains are some of the most popular picks for chronic pain management. A strain that contains a little of both CBD and THC may be more effective than one with THC alone. High THC levels mean that you may more easily forget about your pain. CBD strains are generally considered better for daytime consumption. Sativa strains are often consumed for neuropathic pain and chronic headaches, though this is highly subjective. Pick strains or products that are very fragrant or have high terpene tests. Searching for more information on cannabis for pain relief? Take a look at the full article here.